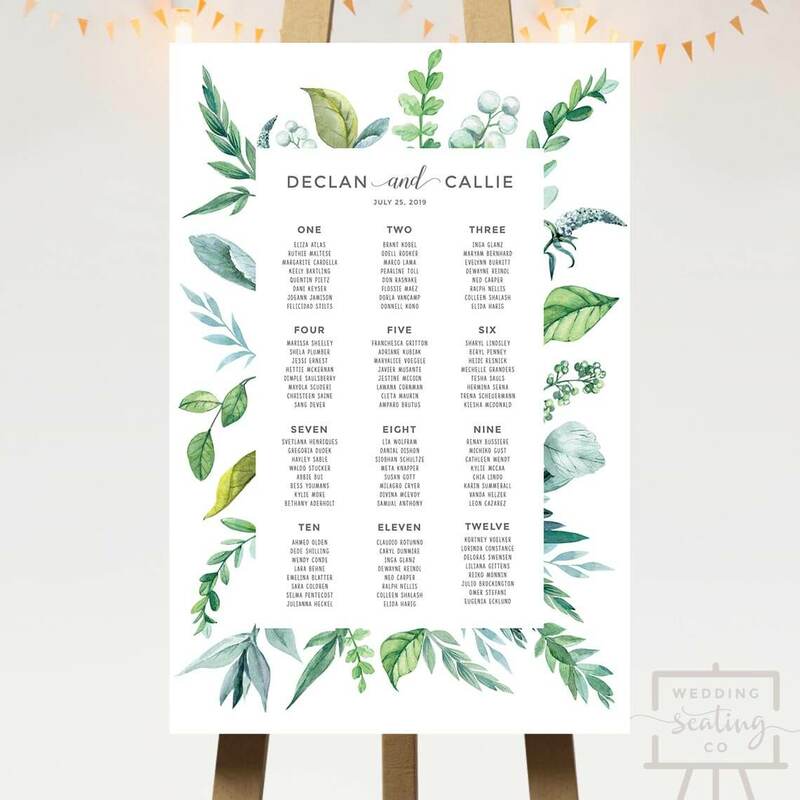 A printable seating chart with watercolor leaves surrounding the table assignment plan. 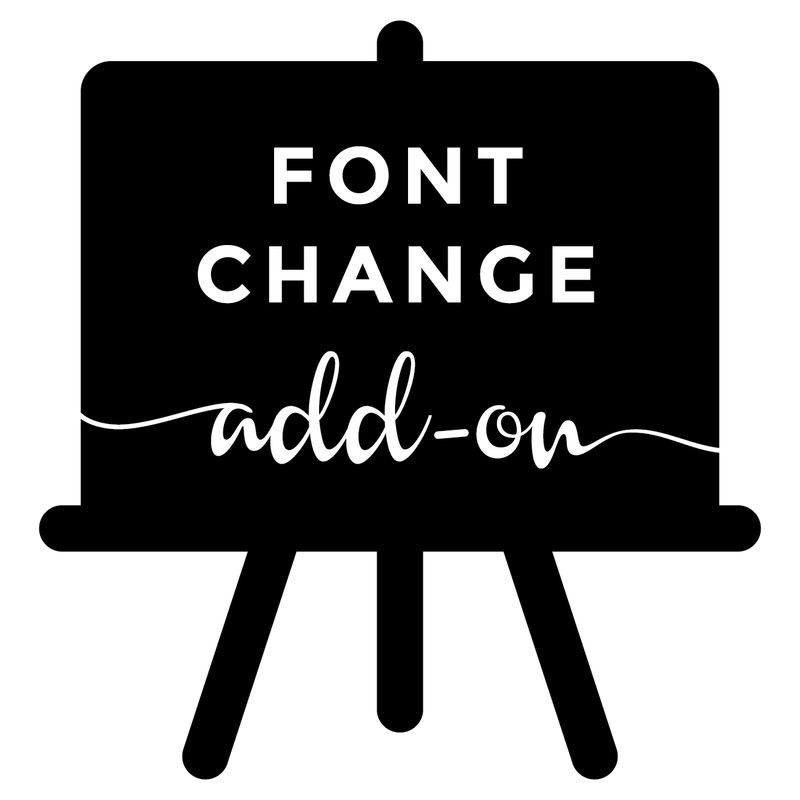 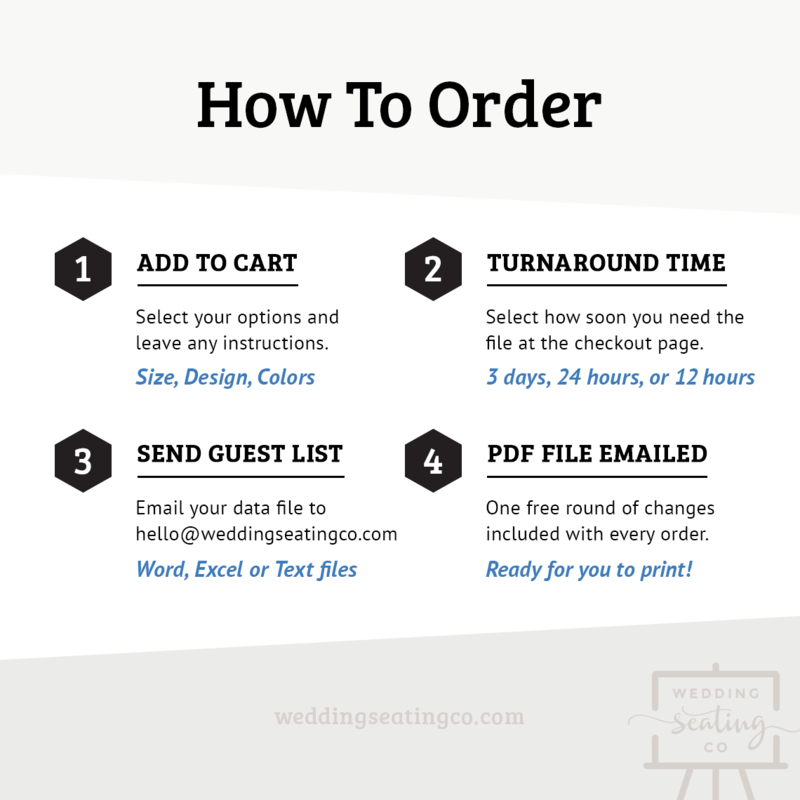 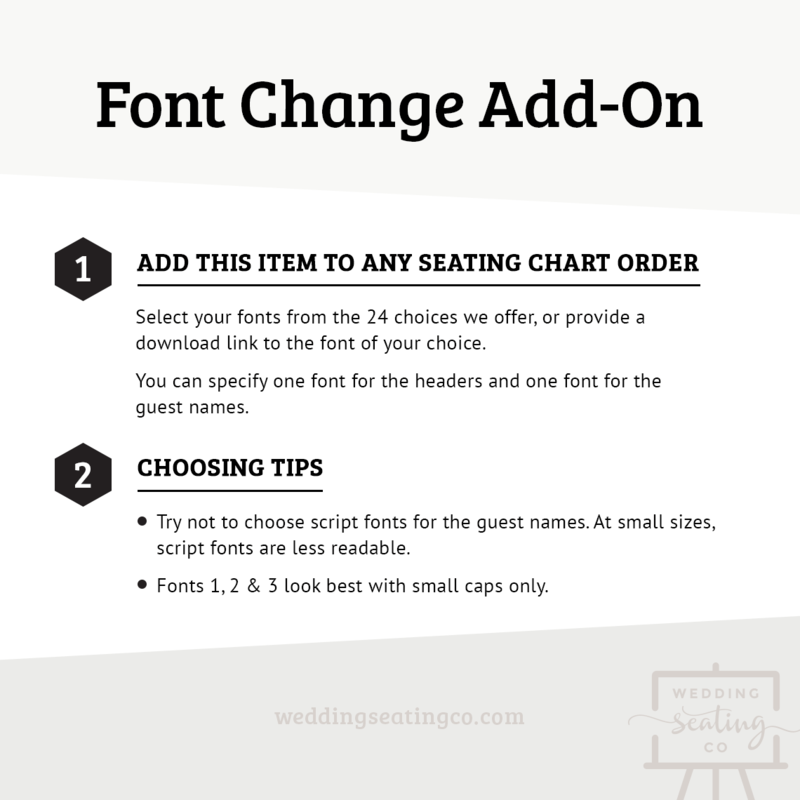 Can be arranged by table numbers as shown, or by table names, or alphabetically. 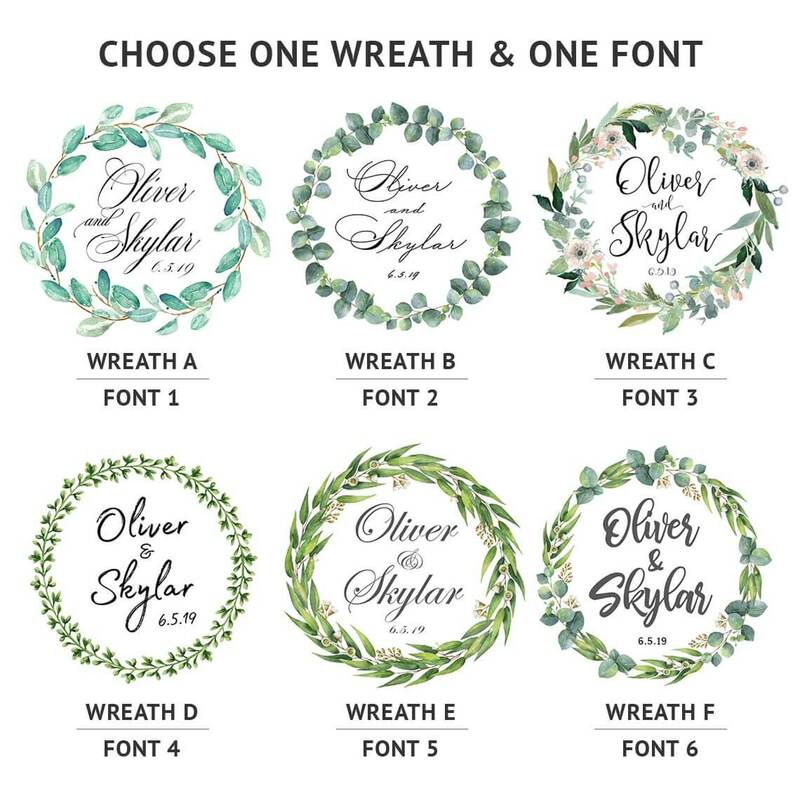 Variation A shows the same design, but with a deep green background behind the leaves. 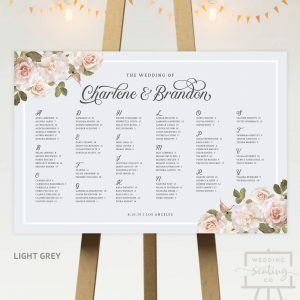 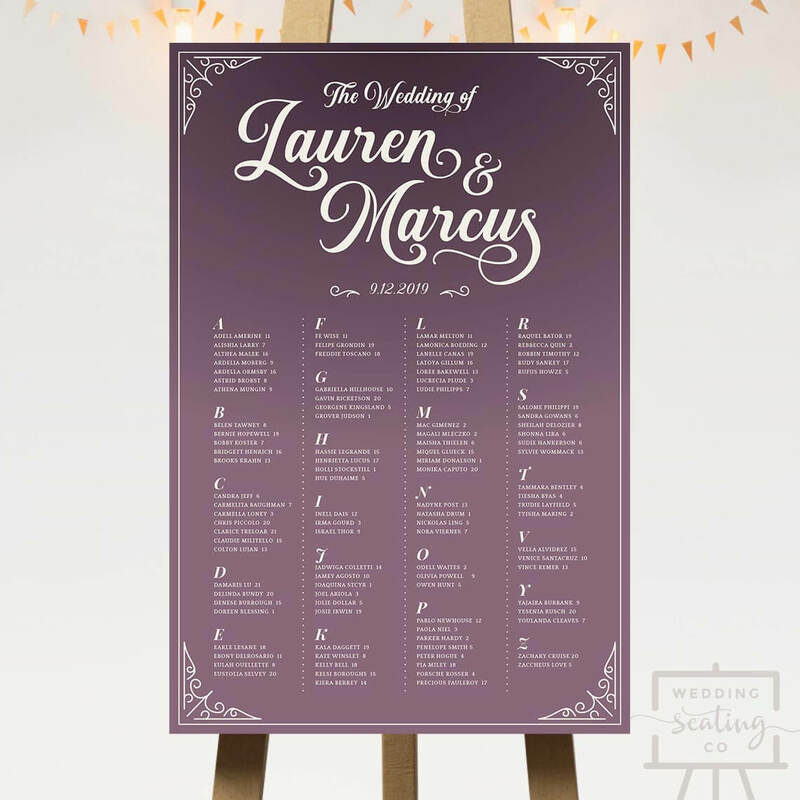 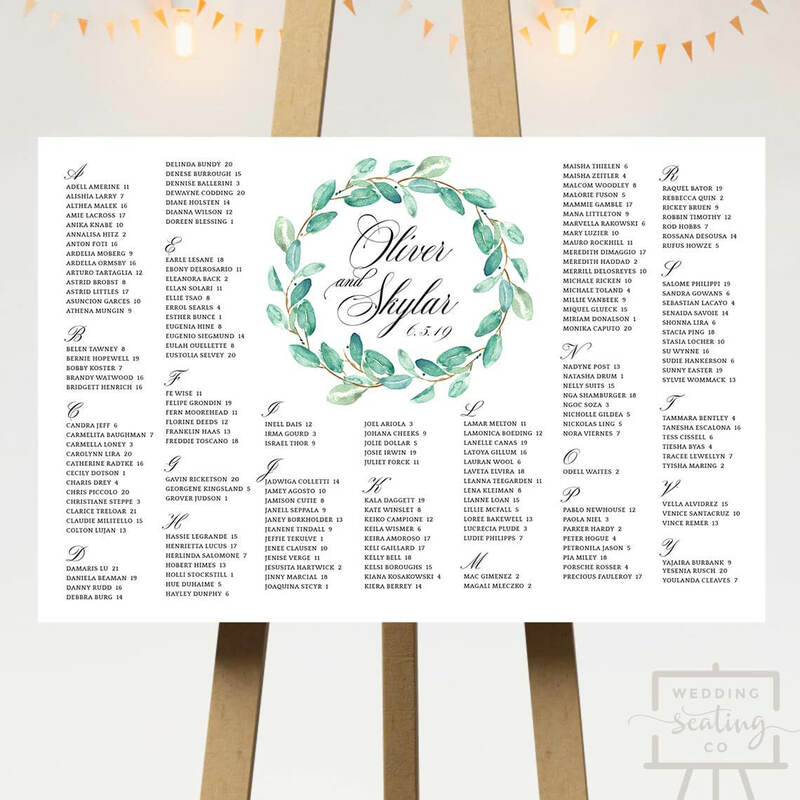 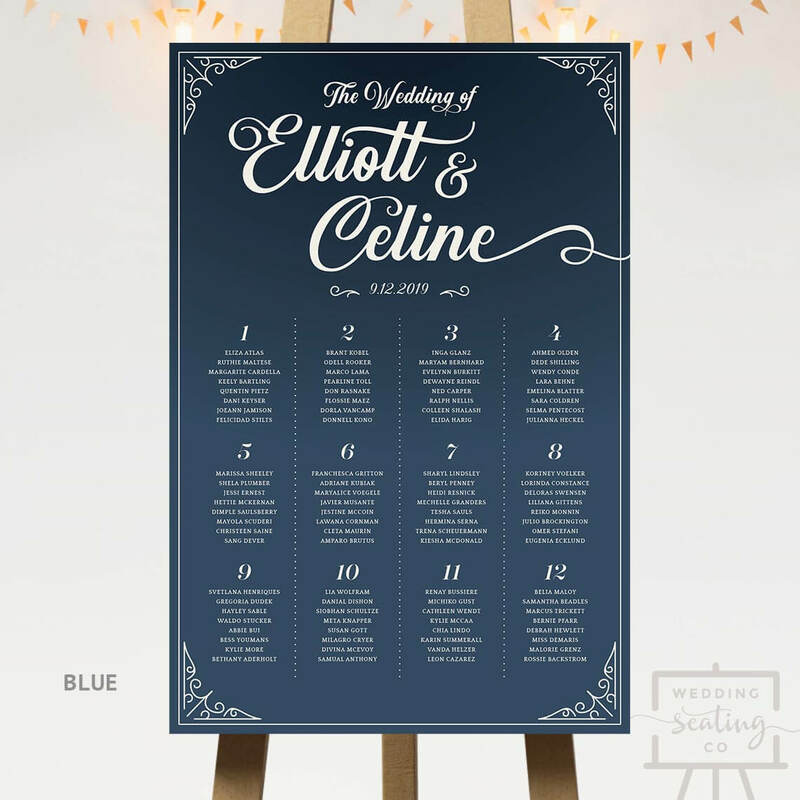 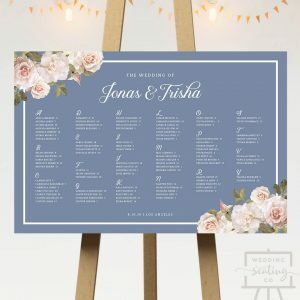 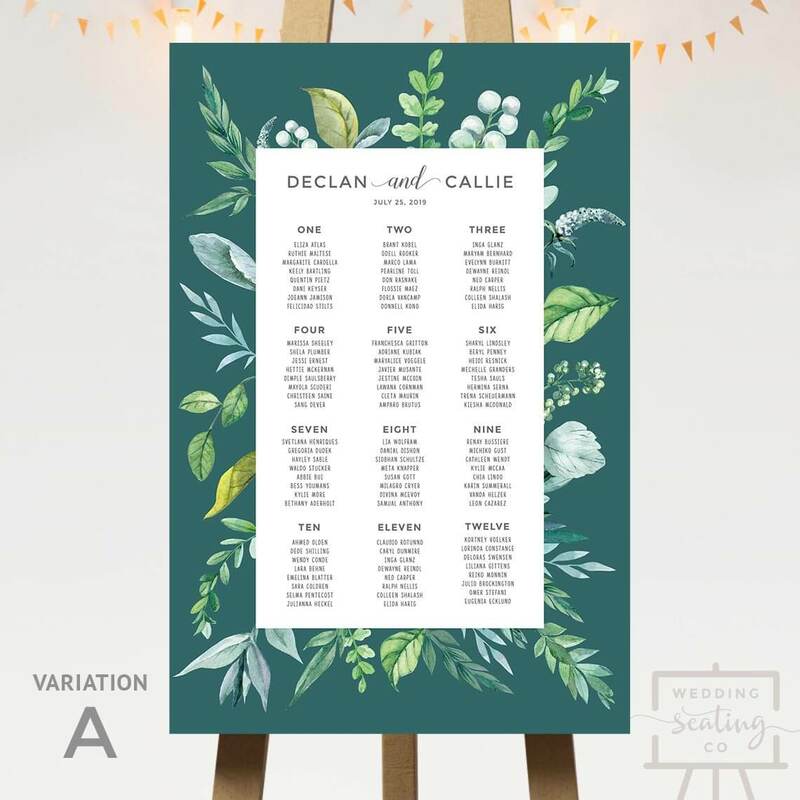 No custom colors available for this design – choose the original or Variation A.
Scroll down for full details of Botanical Leaves Wedding Seating Chart.